Airbus A380: The Airbus A380 is the world's largest passenger airliner, a wide-body aircraft manufactured by Airbus. Airbus studies started in 1988 and the project was announced in 1990 to challenge the dominance of the Boeing 747 in the long haul market. Air pollution: Air pollution occurs when harmful or excessive quantities of substances including gases, particles, and biological molecules are introduced into Earth's atmosphere. It may cause diseases, allergies and even death to humans; it may also cause harm to other living organisms such as animals and food crops, and may damage the natural or built environment. 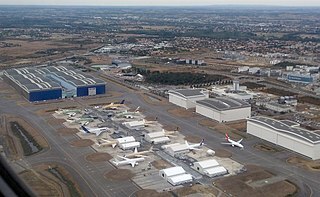 Airbus: Airbus SE ; German: [ˈɛːɐ̯bʊs]; Spanish: [ˈeiɾβus]), from 2000 to 2014 known as the European Aeronautic Defence and Space Company (EADS), is a European multinational aerospace corporation, registered in the Netherlands and trading shares in France, Germany and Spain. It designs, manufactures and sells civil and military aerospace products worldwide and manufactures in the European Union and various other countries. 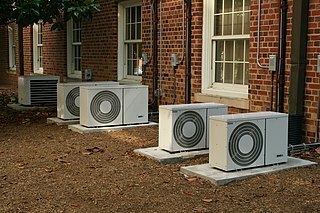 Air conditioning: Air conditioning is the process of removing heat and moisture from the interior of an occupied space, to improve the comfort of occupants. Air conditioning can be used in both domestic and commercial environments. Airbus A320 family: The Airbus A320 family consists of short- to medium-range, narrow-body, commercial passenger twin-engine jet airliners manufactured by Airbus. The family includes the A318, A319, A320 and A321, as well as the ACJ business jet.